Having been recently diagnosed with borderline diabetes, some real life changes are being made as I type this. The first thing that went out the door was all soda. I have replaced all drinking with water and the occasional cup of hot tea or milk. Thank goodness, just in time arrived some new cups to help make this transition much easier and enjoyable. Precidio’s Multi Flask and Kafe in a Box are the perfect vessels to allow me to stay hydrated and full all day long. Let me tell you a little bit more about each of them. 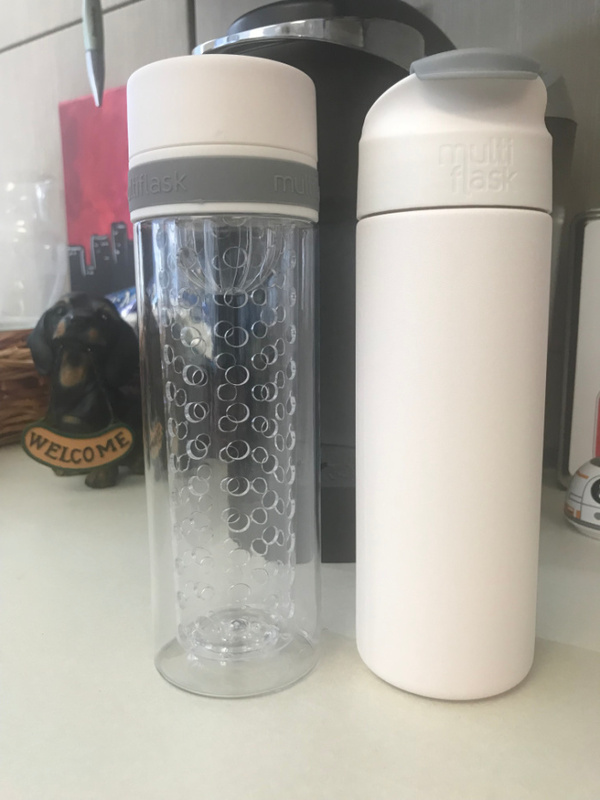 Precidio has been a leading name in custom design services for branded bottles, mugs, restaurant service trays, bar-ware,and other housewares. 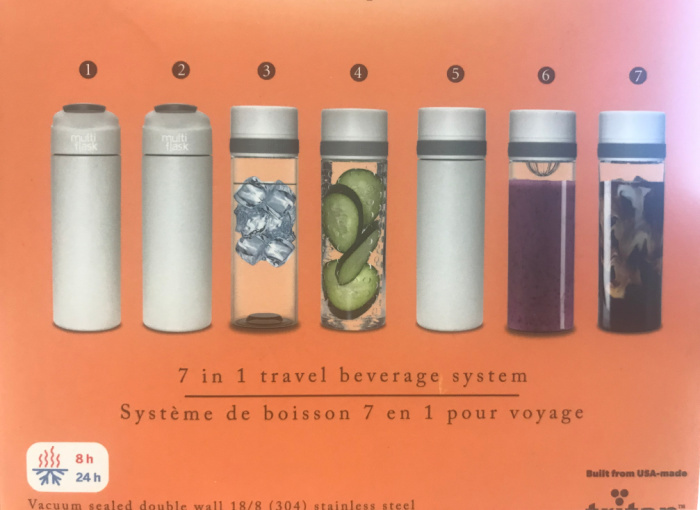 This new Multi Flask lets you have 7 different types of drink bottles in one system, reducing CLUTTER in your cabinet. This bottle stays with me all day, everyday. I keep it in the office and frequent our water cooler several times a day for refilling. I even use it to infuse my Green Tea for a nice, hot drink of a cold winter day. Ditch the Disposable Cup(C). 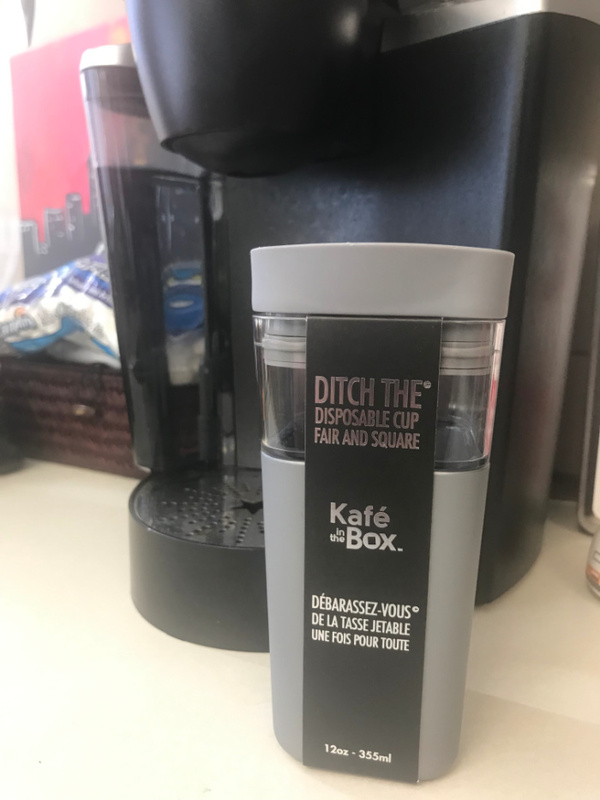 Kafe in the Box is a stylish and light double walled reusable coffee / tea travel cup, without the heaviness of stainless or ceramic cups, much lighter in your bag! It shows your edges, fits car cup holders, has sculpted spout which “hugs” your lip as you drink. Light, beautiful and different. I am thankful to have the opportunity to make these life changes and watch my family grow through the years. I am also grateful for brands like Precidio and Kafe in a Box to come with me along the journey and give me the tools needed to help travel the road to a healthier me. I have this bottle. Although great initially and even after I wrote a great review on Amazon. I have come to not like it so much. The rubber part starts to stink after one day. Then I noticed the lid growing mold in it. Not sure how as I do not store it upside to dry. I also realized the bottles are WAY too small to hold a lot of water. Let’s put it this way… it is not my gym taking bottles. I have this bottle as well and I personally LOVE it so much!